As we noted in an earlier blog, breast cancer is not one homogeneous disease but occurs in ten subtypes. One of these subtypes is known as triple-negative breast cancer (TNBC) and since it is the primary diagnosis for 1 in 7 patents, TNBC deserves our attention. But why triple-negative? Breast cancers are generally characterised by the presence, or lack, of three proteins that fuel the tumour growth: oestrogen receptors; progesterone receptors; and human epidermal growth factor receptor 2 (HER2). None of these receptors — which form the basis for targeted therapy — are found in TNBC and hence the name: triple-negative. TNBC is known to be associated with rapidly changing biological features, high malignancy potential and therefore a poor prognosis. Depending on the stage of its diagnosis, TNBC can be especially aggressive, more likely to recur than other breast cancer subtypes, and this places a high priority on making an early diagnosis. In the past few years a number of research groups have conducted retrospective studies in which they have compared mammography and ultrasound images of TNBC with other cancer subtypes. Just published in Acta Radiologica is a paper from Seoul, Korea where the authors studied the images of 281 patients with surgically confirmed breast cancer, 45 of whom had TNBC. Based on mammography, the TNBC cases had hyperdense masses with either an oval (69%) or lobular (29%) shape without the presence of microcalcifications, while on ultrasound TNBC appeared as hypoechoic masses. Similar findings have also been reported in the Journal of Ultrasound in Medicine and Breast Cancer, suggesting that familiarity with combined mammographic and ultrasonographic features of TNBC could be crucial to avoid a false-negative diagnosis. Scientists at the Genome Institute of Singapore have just reported in the Proceedings of the National Academy of Sciences their discovery of a protein tyrosine phosphatase — called UBASH3B — that is overexpressed in one-third of TNBC patients. Principal investigator Dr Qiang Yu says, “The identification of target genes is always the most crucial first step towards treating a disease. Targeting UBASH3B not only inhibits TNBC invasive growth, but also significantly reduces metastasis.” It is hoped that UBASH3B will be developed as a means for identifying those TNBC patients at highest risk of relapse as well as a new form of treatment. 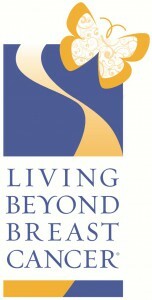 It is encouraging to know that Living Beyond Breast Cancer and the Triple Negative Breast Cancer Foundation are funding breakthrough research to support the discovery of promising new treatments for TNBC patients. Triple negative breast cancer (TNBC) is merely an artificially given description for undifferentiated cancers that cant even express ER, PR, HER receptors. They are not a pathological subtype. Some will also not express (or express) other receptors, yet others will have diverse genetic expressions. The problem with undifferentiated cancers, and TNBC, is they don’t respond to endocrine (ER, PR) manipulations, nor HER receptor based drugs. In terms of imaging, I would not get excited about TNBC. Thanks for this feedback, David. Given the prognosis for TNBC, I guess that’s why there is the excitement around the discovery of this gene just reported in PNAS. In time, this will presumably lead to targeted therapies in the same manner that ER, PR and HER2 patients receive specific treatment.